A team of government officials tasked with cutting vehicle crime has been judged to have achieved its goals and broken up. The Vehicle Crime Reduction Team has been disbanded following a reported 51% fall in overall vehicle crime but the Government has no idea whether motorcycle theft has dropped or not. The Home Office’s most recent bike theft figures are for 2003 and show a fall of only 5% since 2001, compared to a 23% fall for cars in the same period. The figures show the motorcycle theft rate is almost four times that for cars. According to the Motorcycle Industry Association, bike theft rates have not dropped since. The Home Office said there were no plans to publish new research on motorcycle theft because it was not deemed important enough. 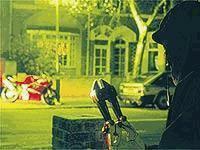 To see what impact industry experts think the news will have on bike theft, get MCN, May 30, 2007.